Fifteen year old Milly has a privileged new life, a year 11 place at a prestigious girls school, a beautiful new home with a perfect family, Foster Father psychologist Mike , Foster Mother Saskia, and Foster Sister Phoebe. Milly however is struggling to leave her past behind, formerly known as Annie, the reason for her new foster family is her Mother. A Mother on trial, a serial killer guilty of some truly heinous crimes. The case has hit the headlines with Milly's Mother being dubbed 'the Peter Pan Killer'. A monster guilty of abusing, torturing and killing young children in the worst way imaginable. Despite Mike and Saskia welcoming Milly into their family with open arms, Milly is struggling to fit in, struggling to escape her Mother's voice, deep inside her head, and struggling with Mike and Saskia's biolgocial daughter, Phoebe. Phoebe hates Milly almost instantly. Milly shouldn't take this personally, Phoebe pretty much hates anyone who takes the spotlight away from her. She is young, blonde, pretty and has the luxury of being one of the most popular girls at school. But Phoebe underestimates Milly, thinks that she is just another foster kid. Milly is a much more complex character, conditioned from a young age by her evil Mother. She is a fragile creature, struggling to cope in the outside world, and Phoebe may be the one that pushes her over the edge. How exactly will she handle that? It is a cracker of a novel to start the year with, and I hope she has more like this up her sleeve. 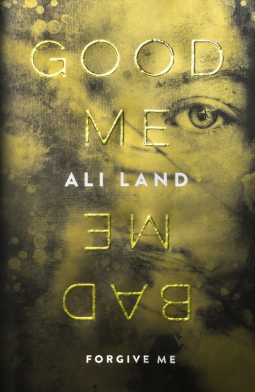 Good Me, Bad Me is available from 12 January 2017.